Here it is, another race article. The cause this one is dedicated to is the ARK. It stands for Adult Respite… uh, Care. Yeah, I know. They wanted to spell it like the boat, so what can you do? The ARK is for the care-givers of people who have Alzheimer’s disease or a related memory disorder. Sort of a support group, I guess. I had never heard of it before finding the race on my fabulous Cooper River Bridge Run calendar, so I won’t pretend that I’m all about the cause. I just go for the race itself, and if the proceeds help some people, then that’s fine by me. I wear my race shirts all the time, so they’ll even get some advertising out of it. Everybody wins. This was apparently the 8th annual Race for the ARK. Apparently it’s been stealthily hidden all this time… about two-and-a-half miles from my apartment. Did I mention that I love that calendar? It has all the cool stuff! I should give a plug here to the Therapeutic Massage students from Miller-Motte Technical College. The ladies and gents from MMTC were there once again to help folks stretch out before and after the race. I didn’t get a shot of the tables this time, but they’re the same tables (and some of the same people) that I saw at the Flowertown. As usual, they were very nice and very helpful. 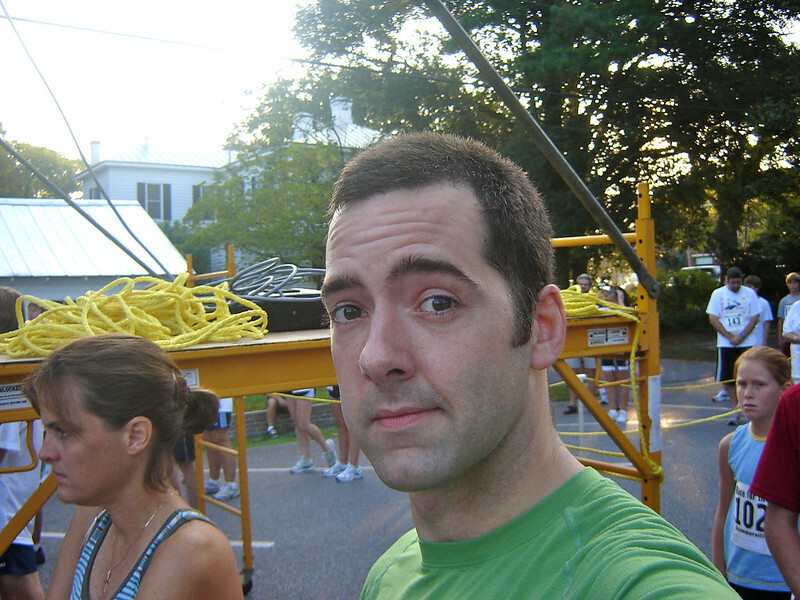 My only regret during this race is that my camera is showing signs of age. It’s getting harder and harder to get decent photos on the run. It takes a little patience sometimes, because it takes an extra moment to focus. If I hand the camera to someone else, for instance, I’m not always sure what I’ll get. Even my own shots were a bit off. Lighting was a problem, and Photoshop corrections to the colors and curves can only take a guy so far. Still, I got some decent point-and-shoot photos from the race. Enjoy.